This field of research has recently been introduced into our activities and is intended to be expanded in the future. Co-operations with several groups of the cluster of excellence “Engineering of Advanced Materials” (EAM) are already established. In the following some current projects are introduced. In our working group we investigate the growth and ripening of ZnO semiconductor nanoparticles (NPs). These exhibit promising electro-optical properties which can be adjusted for different applications due to the quantum size effect. Thus, they can be integrated into electronic devices as well as in thin film solar cells where they act as an electron transfer system. For these applications stable and well-defined NPs have to be designed, and knowledge about the nucleation and growth processes as well as the stabilization is crucial. To synthesize these nanoparticles we use a standard ansatz developed by Meulenkamp and Spanhel in which an ethanolic solution of zinc acetate dehydrate is heated for 3 h under solvothermal conditions to form a tetrahedral precursor (cf. Fig. 1). These precursor molecules consist of a tetragonal Zn4O unit and are stabilized by six surrounding acetate molecules. 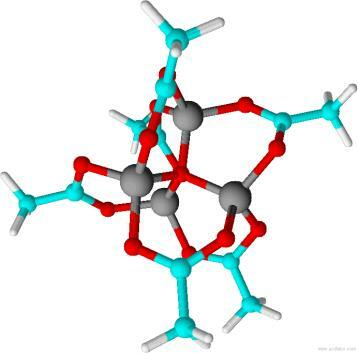 The addition of an ethanolic solution of the strong base LiOH to the precursor solution starts the ZnO formation. -Vis) simultaneously. 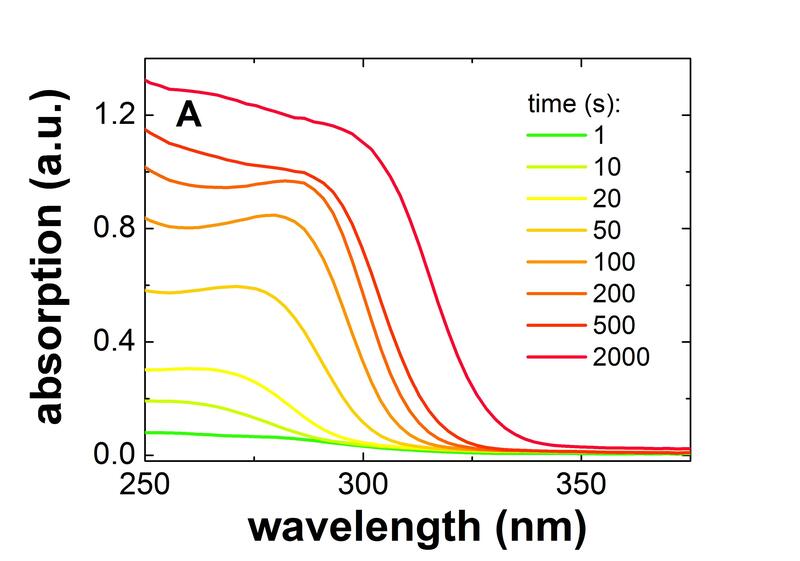 Typical time resolved SAXS and UV-Vis measurements of freshly prepared ZnO nanoparticles are displayed in figure 2. 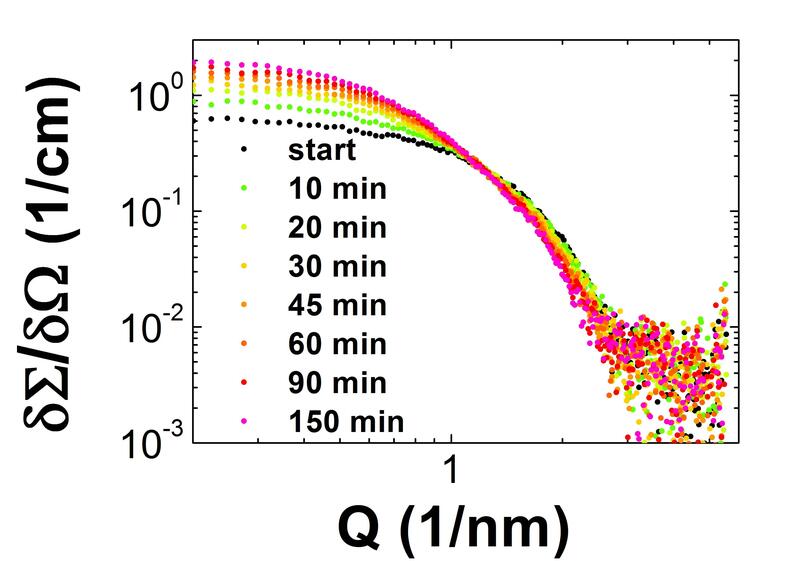 From these measurements the temporal evolution of the size and shape distributions of the nanoparticles can be determined and allow to get a detailed understanding of the kinetics of the underlying formation, growth and aging processes.